American Airlines has activated free live TV on its first 100 domestic aircraft. Free live TV is now available on more than 100 aircraft equipped with Gogo 2Ku high-speed Wi-Fi including all 48 Airbus A320s, which are receiving in-seat power during 2019. It is also available on more than 60 A319s, which have power outlets in every row. All channels stream directly to passenger laptops, phones or tablets free of charge. 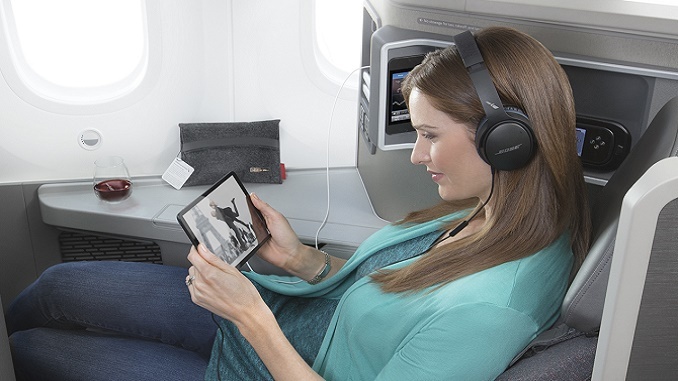 Live TV is easy to use and available from gate to gate – passengers can choose it from American’s lineup of free entertainment that includes hundreds of movies and on-demand television shows. The airline plans to extend live TV and high-speed internet across its long-term mainline narrowbody fleet of more than 700 aircraft during 2019. American will add free live TV to aircraft equipped with Viasat high-speed Wi-Fi, bringing both of these features to American’s long-term mainline narrowbody fleet during 2019. American has high-speed Wi-Fi on 240 aircraft including all A321T three-class transcontinental aircraft. “Our customers have told us they want a living room experience in the air – the ability to watch free entertainment, stream their favorite shows on-demand, charge their phones and stay connected from start to finish during their travels. “Free live TV on our mainline domestic fleet is the latest step in making that a reality, and it complements the live TV we offer on all of our international widebody flights today.